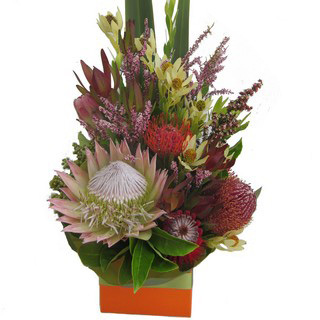 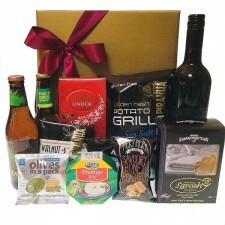 Spoil the man in your life with this special gift. 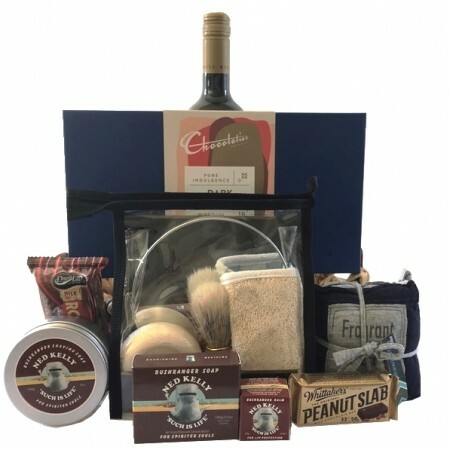 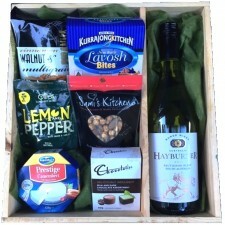 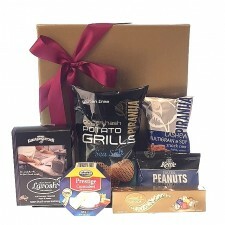 A woven basket with a bottle of Australian Red Wine; Chocolatier 190g Assorted Chocolates; Rocky Road; Peanut Slab and Grooming Kit including: mirror, shaving cream brush, soap and exfoliating sisal. 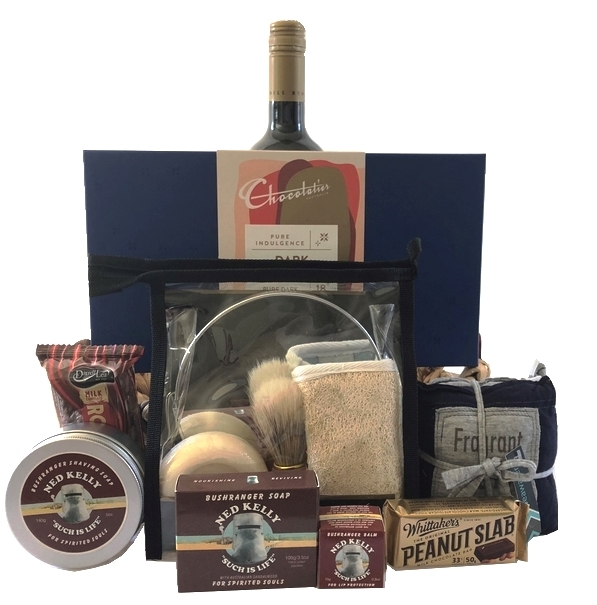 Bush Ranger Shaving Soap 140g, Soap 100g and Balm 10g; Set of 2 Mens Scented Sachets to complete this gift.